Erik Barkley is the Area Director of the CCSDS Cross Support Service Area (CSS). 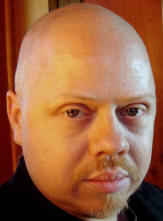 Mr. Barkley’s early professional career was focused on design and development of software intensive systems, first for commercial concerns, and from 1987 to 2001, as a contractor, for NASA's Jet Propulsion Laboratory, which inovled several software system deliveries into NASA/JPL’s Deep Space Network (DSN). In 2001 Mr. Barkley joined JPL as an employee, and currently provides system engineering for the DSN Service Management System and manages multiple pilot tasks for the next generation of DSN service management. Among his professional interests are formal modelling techniques such as UML, BPMN, etc for systems specifications, WebServices protocols, and Service Oriented Architectures. Within CCSDS Mr. Barkley also chairs the Service Management Working Group of the CSS Area. He has co-authored various publications for industry conferences. Mr. Barkley holds a B.Sc. (with Honors) in Computer Science from the University of Montana.